The sound of Michael Chapman’s voice—as damp, dank and rough as an overgrown swamp—is one that we might not have had a chance to hear until recently. The marketplace had previously tended to shy away from celebrating any artist that didn’t sound hale or youthful. But around about the time Johnny Cash lent his quavering pipes to a mournful cover of Nine Inch Nails’ “Hurt,” the music industry started to take its elders seriously and opening up a place for their gravitas and raspy tones to settle comfortably amid the young bucks and trilling divas. This shift in perception will only be a positive for the now 78-year-old British artist. Everything else about his latest album True North falls square into the modern folk landscape, with gently strummed and picked acoustic guitars (played by Chapman or producer Steve Gunn), the welcome hum of a cello or a pedal steel, wandering melodies and lived-in lyrics about life’s pleasantries and indignities. But it is driven by Chapman’s weathered vocals and worldview. 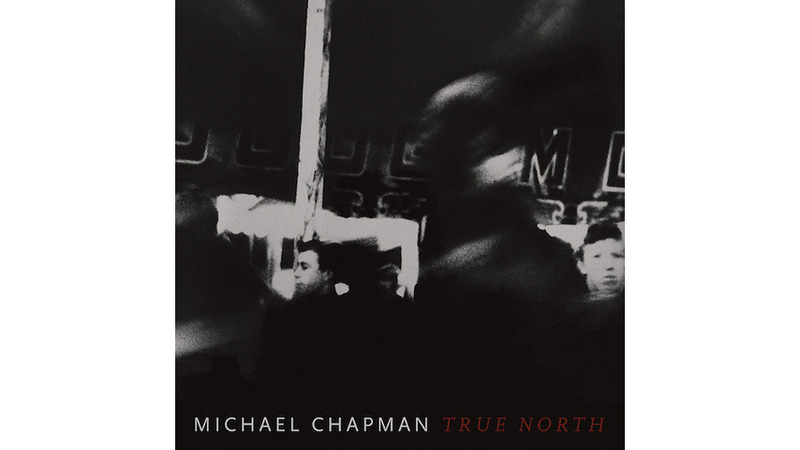 The mood can be a lot to endure for the course of one album, especially in comparison to the lighter, looser touch that Chapman took on his ‘70s albums like Millstone Grit and Rainmaker. But the music that he and Gunn (with some assistance from B.J. Cole and Sarah Smout) designed has an openness and a ramble that befits these songs. It would be dishonest to try and slather these tunes with effects and or electronic intrusions. These are fireside confessions or the musings of the crinkling mind with a regular stool at the local watering hole. They deserve these bucolic sounds so every word and every bump in Chapman’s delivery is given its due.